I sure do enjoy having my Shapeoko XXL. 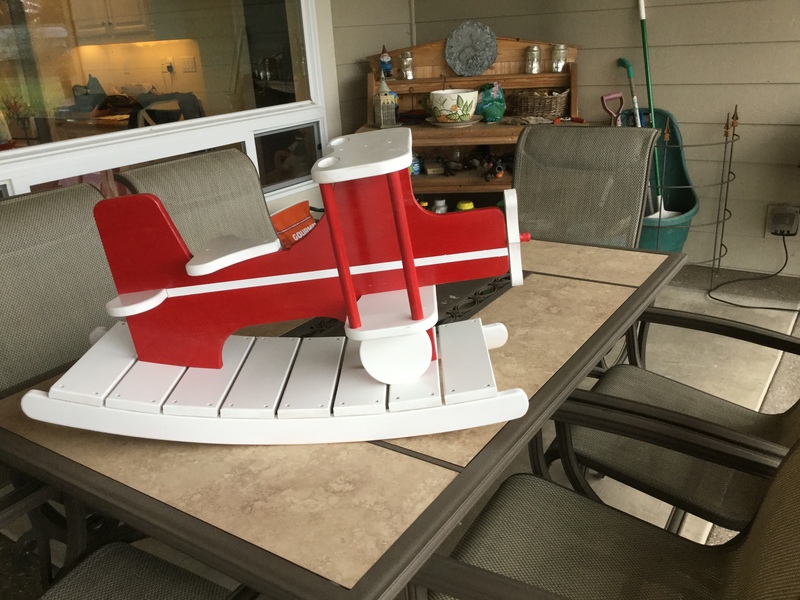 A real plus in designing and prototyping this for my grandson. Woo hoo! Super cool! Any kid should be pretty thrilled with that! That one fine present… is the white stripe just painted or is the fuselage cut in two pieces? It would also be nice made without the rockers and used as a table and chair with the wing as the table top.